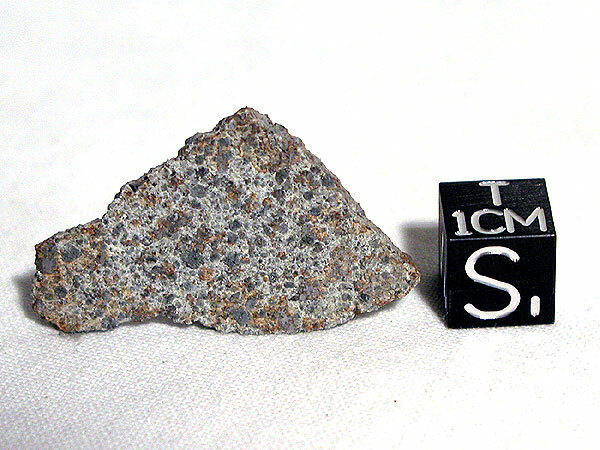 A shower of stones fell after a fireball was seen, with sonic effects; one fragment was seen to fall and shatter and more material was recovered over the following few weeks; the total mass recovered is at least 44kg, A.L.Graham et al., Cat. Met., 1985, p.64. Detailed description of masses, fall circumstances and strewn field, coordinates, bulk analysis, 21.45% total Fe, E.A.Jobbins et al., Min. Mag., 1966, 35, p.881. Fall described, H.G.Miles and A.J.Meadows, Nature, 1966, 210, p.983. Cosmogenic radionuclide data, F.Begemann et al., Meteorite Research, ed. P.M.Millman, D.Reidel, Dordrecht-Holland, 1969, p.265; see also, P.J.Cressy,Jr., GCA, 1970, 34, p.771. Ga and Ge contents of metal phase, C.-L.Chou and A.J.Cohen, GCA, 1973, 37, p.315. Noble gas data, exposure ages, D.D.Bogard et al., GCA, 1973, 37, p.2417. Cu content, R.S.Clarke,Jr. and E.Jarosewich, Meteoritics, 1978, 13, p.418 (abs.). TL data, D.W.G.Sears, Meteoritics, 1978, 13, p.628 (abs.). Thermal stability of TL intensity, C.L.Melcher and D.W.G.Sears, Meteoritics, 1979, 14, p.249. U-Pb data, D.M.Unruh et al., GCA, 1979, (suppl. 11), p.1011; see also, M.Tatsumoto et al., Mem. Nat. Inst. Polar Res., Tokyo, 1981, (20), p.237. Plateau Ar-Ar age, G.Turner et al., GCA, 1978, (suppl. 10), p.989. Uranium isotopic composition, J.H.Chen and G.J.Wasserburg, Geophys. Res. Lett., 1980, 7, p.275. Fission track densities in whitlockite and orthopyroxene, P.Pellas, LPSC, 1981, 12, p.825 (abs.). Pb-Pb dating, F.Tera, LPSC, 1981, 12, p.1085 (abs.). Noble gas, Al-26 and Mn-53 contents, O.Müller et al., GCA, 1981, 45, p.447. Be-10 data, R.K.Moniot et al., GCA, 1983, 47, p.1887; see also, LPSC, 1981, 12, p.712 (abs.). Mobile trace element and Ar-40 retention data, T.J.Huston and M.E.Lipschutz, GCA, 1984, 48, p.1319. Br and Se contents, D.Wang et al., Papers 10th Symp. Ant. Met., NIPR Tokyo, 1985, p.15. Si isotopic composition of fusion crust, C.Molini-Velsko et al., GCA, 1986, 50, p.2719. Siderophile element data, D.W.G.Sears and K.S.Weeks, GCA, 1986, 50, p.2815. I-Xe, Ar-Ar dating of inclusion, C.Kirschbaum, Meteoritics, 1986, 21, p.414 (abs.). Study of emission spectra during TL, J.A.Strain et., Earth Planet. Sci. Lett., 1986, 77, p.14. Chemical composition, oxygen isotopes, and noble gas data of H-group igneous clasts, R.Hutchison et al., Earth Planet. Sci. Lett., 1988, 90, p.105. TL sensitivity, M.Haq et al., GCA, 1988, 52, p.1679. Uranium abundance in merrillite and apatite, G.Crozaz et al., Earth Planet. Sci. Lett., 1989, 93, p.157. Major and trace element data, shock facies, weathering state, G.W.Kallemeyn et al., GCA, 1989, 53, p.2747. Analysis of olivine and kamacite, A.E.Rubin, GCA, 1990, 54, p.1219. CL study, petrologic type 5, J.M.DeHart et al., GCA, 1990, 54, p.3791. Carbon and nitrogen isotopic composition, C.M.O'D.Alexander et al., Earth Planet. Sci. Lett., 1990, 99, p.220. Rb-Sr analysis of phosphates, F.A.Podosek and J.C.Brannon, Meteoritics, 1991, 26, p.145. Oxygen isotopic composition of clast and host, R.N.Clayton et al., GCA, 1991, 55, p.2317; see also, J.C.Bridges and R.Hutchison, MAPS, 1997, 32, p.389. Light REE and actinide abundances, B.Hagee et al., GCA, 1990, 54, p.2847. 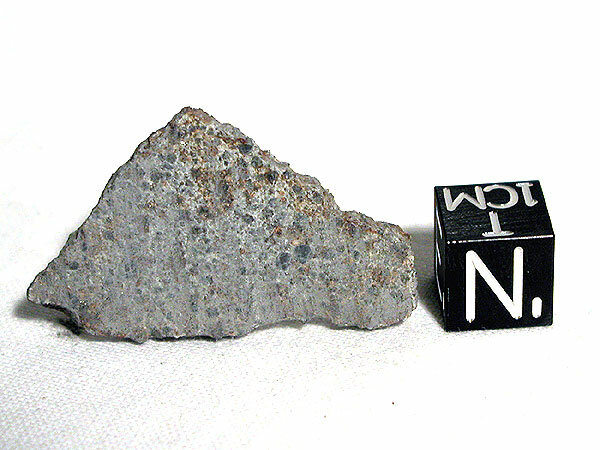 Shock classification, A.E.Rubin, Meteoritics, 1994, 29, p.93. U-Pb systematics of phosphate separate, C.Göpel et al., Earth Planet. Sci. Lett., 1994, 121, p.153. I-Xe dating of clasts, J.D.Gilmour et al., MAPS, 2000, 35, p.445. Weathering effects on oxygen isotopic composition, P.A.Bland et al., MAPS, 2000, 35, p.1387. Magnetic susceptibility, P.Rochette et al., MAPS, 2003, 38, p.251. Relative Mössbauer absorption areas, H.C.Verma et al., MAPS, 2003, 38, p.963. Metallography and composition of Fe-Ni metal particles, R.J.Reisener and J.I.Goldstein, MAPS, 2003, 38, p.1679. Calculation of atmospheric ablation based on depth dependence of 22Ne/21Ne-c, V.A.Alexeev, LPSC, 2003, 34, abs. #1003. Pb-Pb dating, E.Rotenberg and Y.Amelin, LPSC, 2003, 34, abs. #1902.